Tourists won’t have to pay an entry fee to the Pantheon, one of Rome’s most famous monuments, as proposed last year. Plans by Italy’s previous centre-left government to charge visitors to the Pantheon have been binned by the country’s new coalition government, culture minister Alberto Bonisoli announced on Thursday. “On the contrary to what my predecessor decided in 2017, no entry ticket will be introduced,” Bonisoli said. The previous plan would’ve seen visitors charged €2 in an aim to squeeze more profit from Italy’s cultural assets. Part of the ticket revenue would’ve also been spent on maintaining the site, which dates back to between 113 and 125 AD. 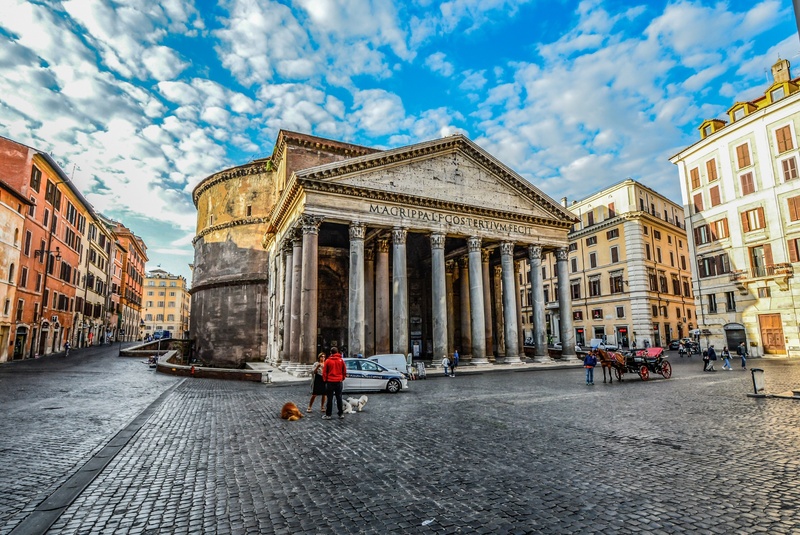 The Pantheon, originally a temple to all the Roman gods, is one of the ancient world’s best preserved monuments. Now a church, the vast cylindrical structure whose undamaged exterior wall supports a 43.3 metre- dome with a circular skylight at its summit, contains the tomb of Renaissance painter Raphael.